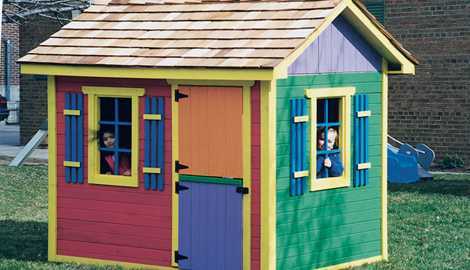 A DIY playhouse plan is the sure way to encourage smiles and laughter while remaining budget friendly. 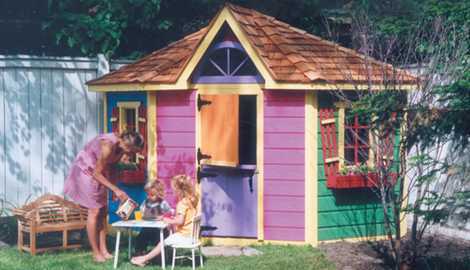 The ideal way to design a playhouse plan online and build it over the weekend. True North’s playhouse designs offer a safe place for fun and games and always inspire imagination. These scaled down designs come in all sorts of styles and leave room for creativity when it comes to color and finishing touches. Every True North playhouse plan has been successfully built and enjoyed by people looking for that perfect birthday gift or fun weekend project. They can even be customized in our Custom Plan Center. 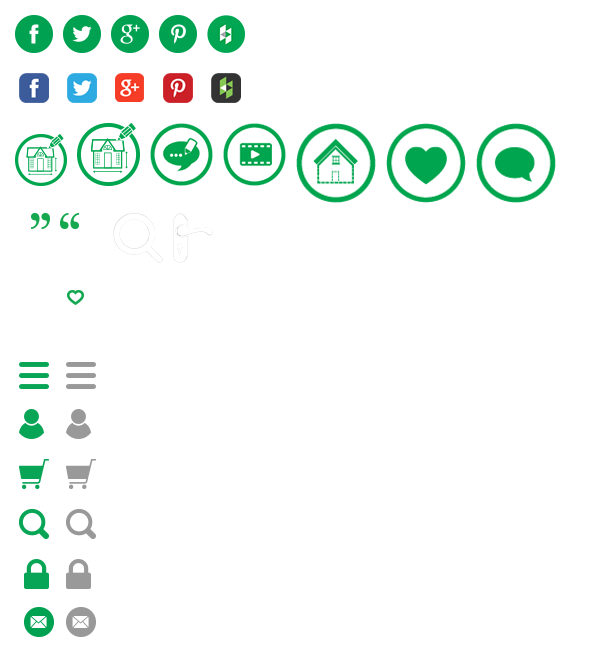 Find a design you like and download the plan. True North provides a helpful material shopping list, cut-lists and online video tutorials to help you every step of the way. Check out our playhouse plans now! 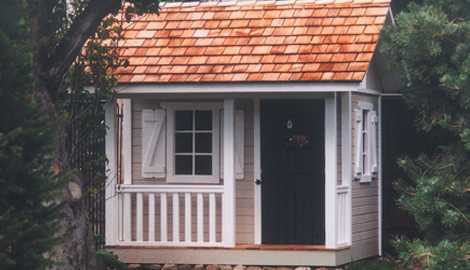 The Bear Club playhouse plan features a soaring gable roof, functioning windows, and a unique dutch door. They’ll love it. The Peach Pickers Porch playhouse plan is tons of fun for the kids with its own porch. The perfect DIY project. The Petite Pentagon playhouse plan is designed with kids in mind. Fit this 5-sided playhouse into any backyard nook.